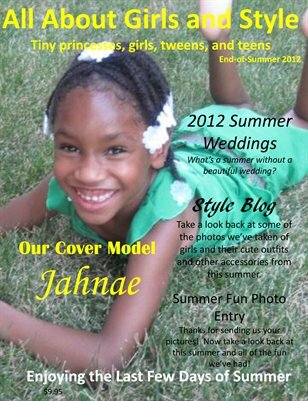 In this special edition of AAGS, End-of-Summer 2012, you will explore pictures and stories about how some girls have enjoyed their summer in the special feature Summer Fun Photo Entry. Then, take a look back at some of the outfits we’ve seen over the summer that are featured in the style blog. What’s a summer without a gorgeous wedding? Delve into the stunning pictures of two weddings in the feature 2012 Summer Weddings. Have fun!!! !